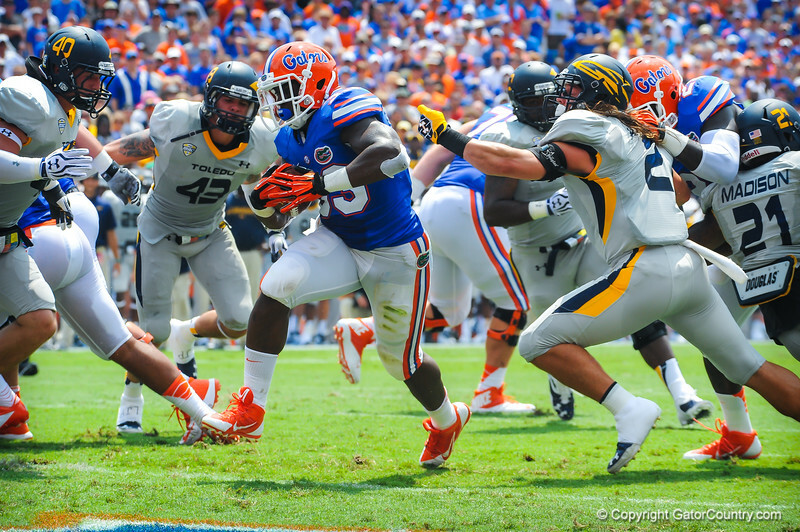 RB Mack Brown runs for a gator touvhdown. Gators vs. toledo. 8-31-13.